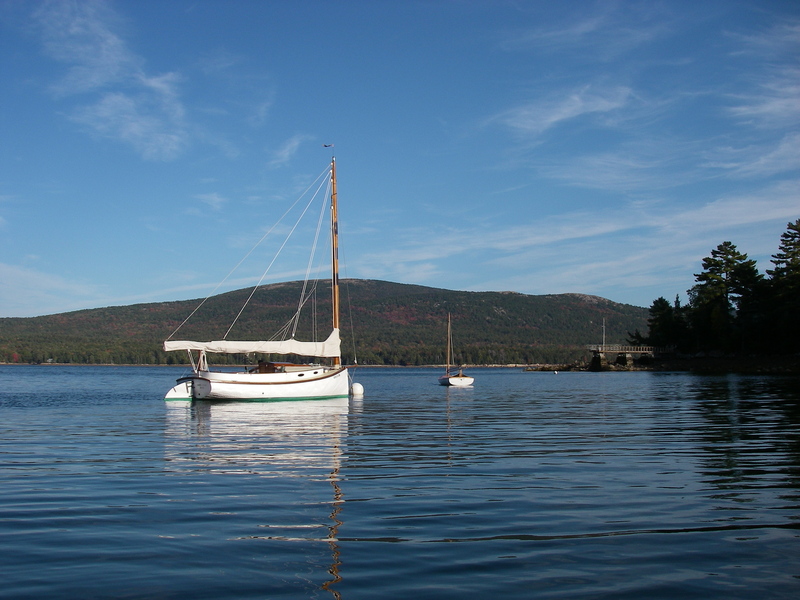 Yesterday, after a gorgeous sail across from Northeast Harbor on Mount Desert Island, I arrived back in Joy Bay. This summer/fall has involved sailing every which-way. First from the Connecticut River up to Joy Bay, in Maine, to see the house that Suzanne and I are moving into, and then off again, as the gradual process of transitioning to the new place has gone on, with building (boat shed), and repairs, and getting things like propane service and a kitchen stove all in order. I’ve had the luxury of being gone off sailing during most of this, available by telephone, and in some ways helping by keeping myself out from underfoot. 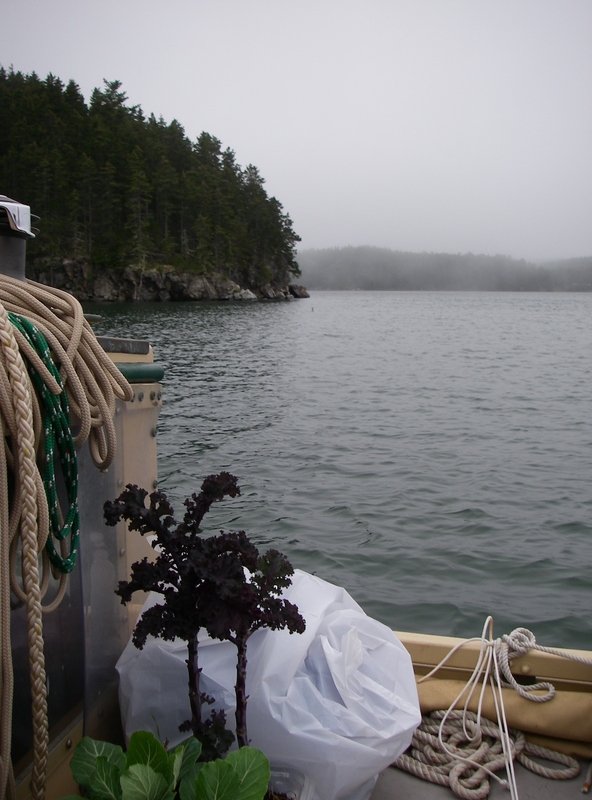 Earlier in the summer I went a little ways east, doing some visiting in Pleasant Bay, in the vicinity of Dyer Island, and then back across toward the west, again to Penobscot Bay, with a bit more visiting, and spending time in a variety of harbors. This year I’ve been on “harbor tour,” going into a number of locations that I’ve either seen from a distance, or heard about, for years. 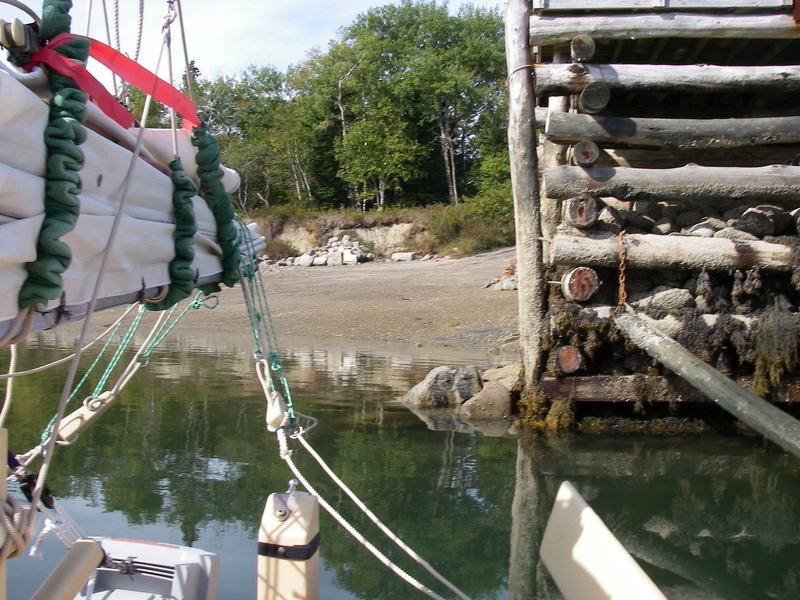 Benjamin River, on Eggemoggin Reach, was beautiful, and it was fascinating to finally see Smith Cove, by Castine, which is really a bay of its own, with a number of interesting coves all around the edges. For a while we had almost a week of very strong northeast winds, and the possibility of a hurricane to follow that. 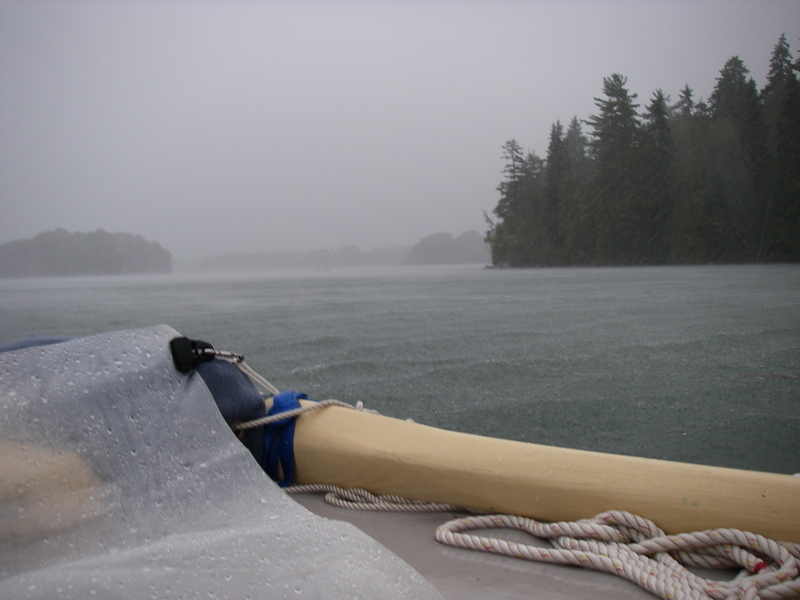 The hurricane thankfully turned out to sea, but I spent the week investigating anchorages that might be suitable for such a storm, and in any case were better or worse at fulfilling the needs for shelter from 20 to 25 knot winds right there in the harbor. Holbrook Island was nice, hidden behind the steep shore; Benjamin River was lovely after the wind died down, and the water stayed relatively flat throughout, but the wind just howled, not particularly interfered with by the gradually sloping surrounding hills. I was sorry to have left Holbrook! 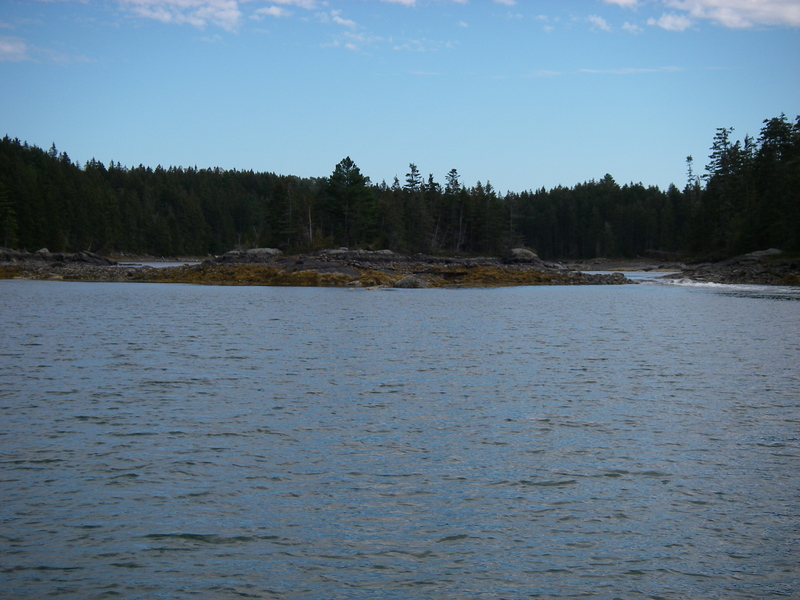 True to its name, there are seals in Seal Bay, and one of the corners where I anchored was bordered by a rocky island that turned out to be where the seals like to spend the night. A friend said earlier this summer how funny it was that seals sound like pigs – she grew up in the Midwest, and was much more familiar with the land-creature version of that sound. The comparison seemed true to me at the time, but I had mainly heard seals from a distance. Two o’clock in the morning in Seal Bay, and the grunting and squeaking about 50 feet away from the boat, and I knew it had to be seals, sounding like pigs! In the half light at dawn, as I got ready to sail off, there they were, eight or ten seals hauled out on that nearby rock. Of course I knew that already – I’d been getting woken up by them off and on through the entire night. I may not pick that exact spot for anchoring again, but it was a lovely place to watch the lunar eclipse, and there are so many other perfect corners in that bay. One hesitates to advertise nice hideouts, but I think that the big boat people already know about it, and seeing another small sailboat or two among those shores would only be a treat. 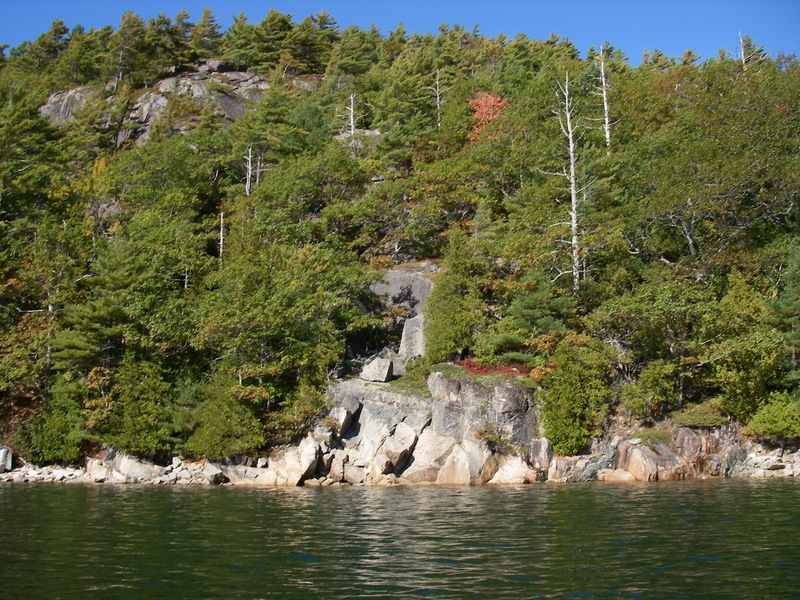 This year I also went up into Somes Sound. This one has been on my list since way back sailing the Falmouth cutter over a decade ago. 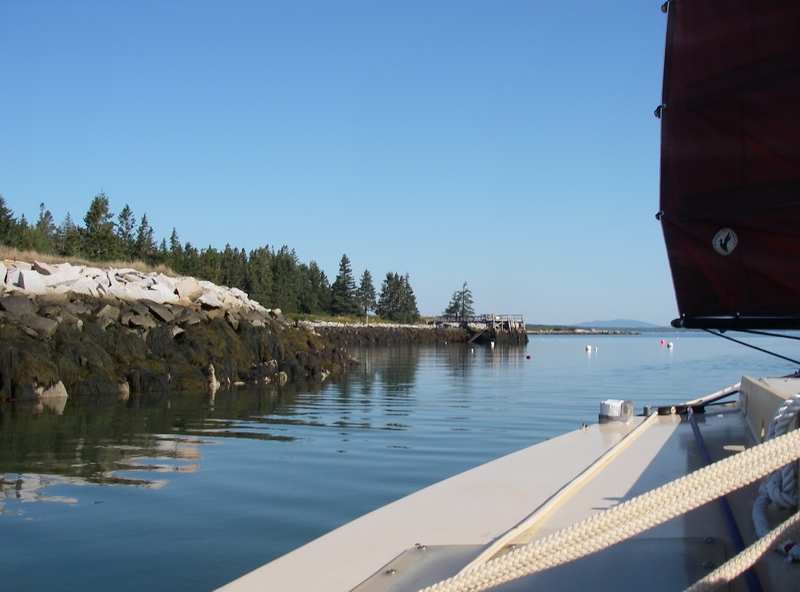 This is a long narrow bay that almost divides Mount Desert Island in half, and is said to be the only true fjord in the continental US (though there are many in Alaska). I was daunted by the fjord stories, of no anchoring possible along the steeply dropping shores, and fierce and unpredictable winds rushing down the slopes of the surrounding mountains. In Alaska this is very true, where the mountains are huge and jagged, with freezing glaciers developing cold rushing winds that tumble down in williwaws that can put a sailboat right over on its side. With the word fjord conjuring all that, and the New England cruising guides making much of this unique body of water, I was nervous about it. 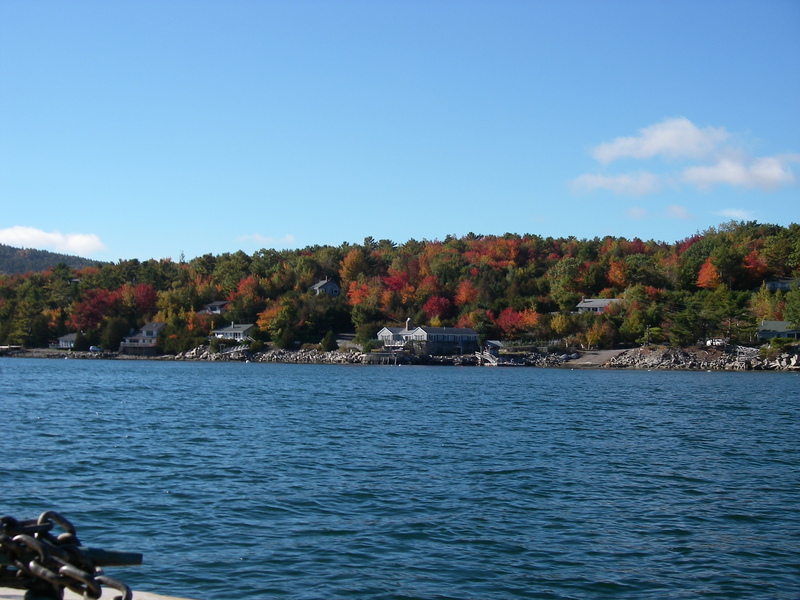 Then a friend of a friend, who lives in the village at the head of Somes Sound, suggested visiting, and I started to think about going there. Watching the weather, there was an opportunity with a south wind for going north up the sound, followed by a north wind a couple of days after that, to be able to get back out. Getting around to this took some time after the initial conversation, and phone messages never did generate a meeting with the person who inspired this trek, but I’m so glad for the time that he took to reassure me on the various concerns about going up there. As it turns out, it wasn’t such a big intense deal – much more like sailing up and then back on a good-sized river. There are in fact beautiful mountains along the sides, but these are New England mountains, rounded and old, and the highest is something like 1000 feet in elevation. 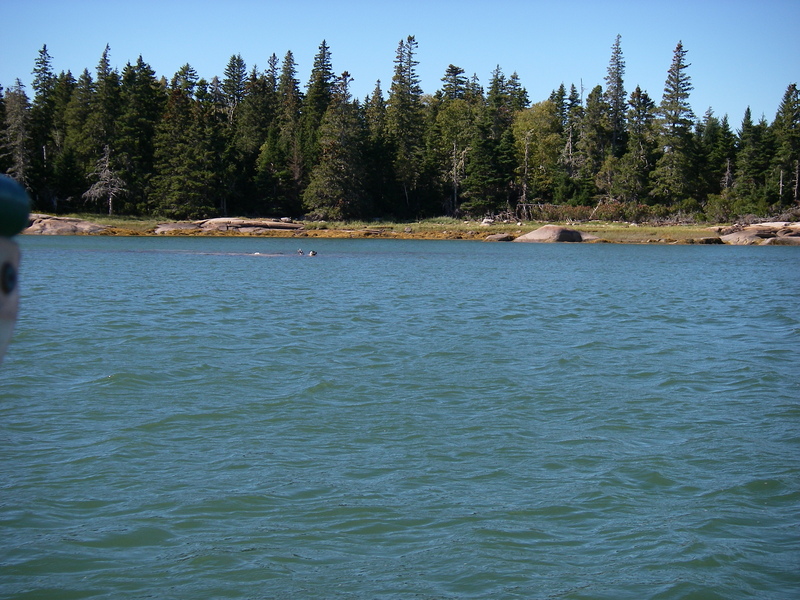 Some of the shorelines are steep, but the deepest water is in the neighborhood of 150 feet, and much of the sound is considerably less than that. The word fjord is true – this waterway was carved by a glacier – but the resemblance to the daunting stories from Southeast Alaska or the southern parts of South America does seem to end with the glacial origins. Lucky for me! Instead of an intensely challenging and somewhat hazardous undertaking, what I discovered was a lovely, long bay, with a very nice harbor at the northern end, interesting coves along the way, and tremendous scenery on the way in and out. 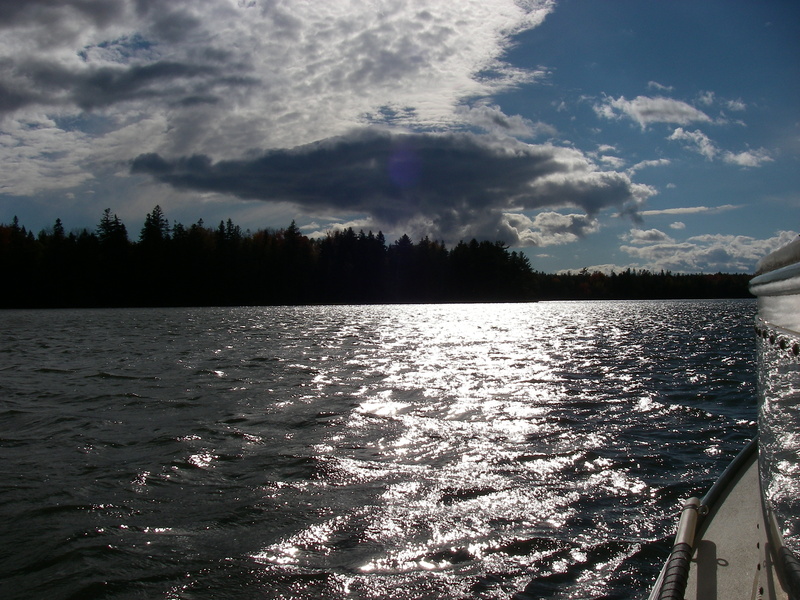 I have since been back again, and have shown myself that it is even possible to sail this boat upwind to get out of Somes Sound. But it did take a half a day, instead of an hour. I’d rather do that run with the right wind! So this is the story of this year of sailing. I haven’t done so well at keeping up with the blog, but there are a couple of other posts mostly written, and some others beyond that in mind. I’m hoping to put them up here in the next little while. Tentatively, we will take the boat out of the water in a little over a week. A friend has suggested that a Google maps trace of this year’s track would be a nice thing to put on the blog – presently this is out of my technical range of skills, but I do expect that I could learn. It would look something like the path of one of those little waterbugs that skitter around on the surface tension of a pond: here, there, and everywhere, with not much sense of specific destination. But you sure do cover some territory! It’s been a marvelous year. Took a break from packing to read this post and I’m glad that I did. The pictures are beautiful and encourage me to forge ahead with my moving tasks. Thank you Shemaya. You’re so welcome. And now the movers have loaded their truck, and you all are on your way! Hooray! , it’s great to see where you have been! So glad you’re enjoying the photos!